Has no minimum activity or participation requirements. These are the guilds that are more about camaraderie and having fun than achieving any specific game-related goals. It doesn't matter what level you are, how many raid tickets you contribute each day or even whether you participate in raids, Territory Battles or Territory Wars. Players in these guilds are free to play the game however they like. 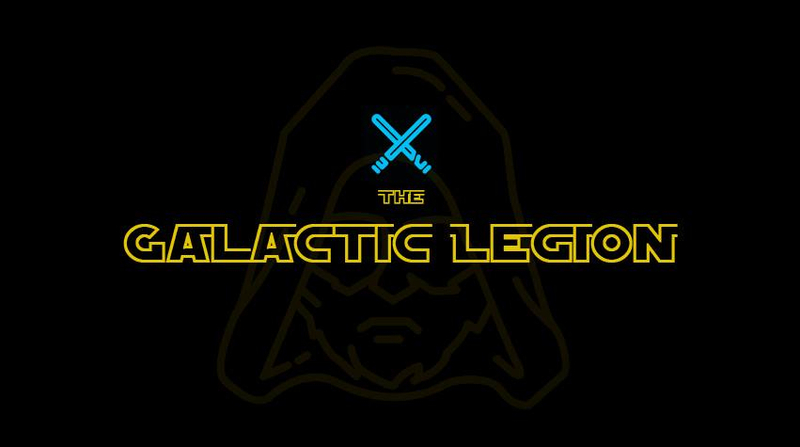 The Galactic Legion Needs You! We are a casual guild (40+ active players) growing steadily every day. Reset time is 4:30 GMT. We run the Heroic Pit Raid twice a week. Heroic Tank Takedown every 4-5 days. Heroic raids have a 24 hour join period. We started our first territory wars in January (2019) and have done well in both. We do about 15-17 stars in Territory Battles. We are looking for players who are active daily and can participate in Guild Events (Raids, Territory Wars and Battles). Ideally, players should have some 7* teams in order to participate in the Heroic raids. • Guild Recruiter: Taslye (Forum), Ally Code: 985-799-262, or find us in game. Delete this guild advertisement please. -	80mil GP and climbing. -	Guild reset at 6:30pm AEDT (UTC +11). -	Heroic Pit launched automatically at 7pm AEST or AEDT every 3-4 days (24hr join period). -	Heroic AAT launched automatically at 7pm AEST or AEDT every 5-6 days (24hr join period). -	T6 Sith Raids launched automatically, excited to work up to Heroic with your help! -	Fantastic TW record – far more wins than losses (Estimated 80% win ratio). -	20+ stars in TBs with great prospects to keep climbing! While we’re largely an Australian guild, we’re welcoming to anyone. We’re all about working together and so are happy to help early game players speed up their progression. 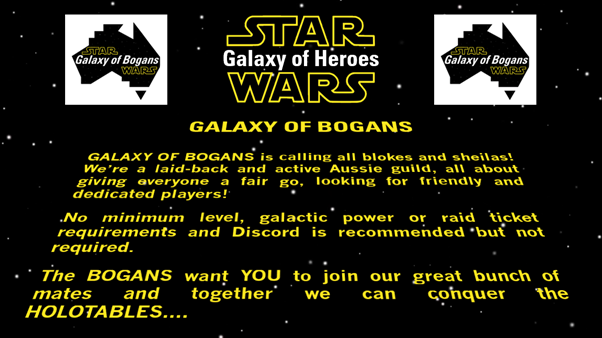 If interested please join our Discord recruitment server (https://discord.gg/ptpmKWr) or message me here on the forums, the Bogans would love you to join our ranks! Petzis`s Padawans suchen Verstärkung. Wir sind eine englisch und deutschsprachige Gilde, die in erster Linie Spaß am Spiel haben wollen. Unsere knapp 42 Mio GP starke Gilde spielt den HRancor und HAAT sowie Tickets dafür vorhanden sind (Startzeit ist 20:00), mehrmals die Woche. Den Sithraid probieren wir derzeit auf Level 6, das dauert aber dann ein paar Tage ;-). Wir gewinnen unsere TW regelmäßig und im TB erzielen wir durchschnittlich 15 Sterne. Es ist jeder willkommen, der das Spiel genauso mag wie wir, ohne es zu ernst zu nehmen (das wahre Leben geht vor ;-). Casual dutch guild looking for dutch speaking members. Nederlandstalig guild voor mensen die geen zin hebben in verplichtingen, maar wel lekker raids en guild events willen doen. Heel sociaal en gezellig guild. Volop mogelijkheid om te leren van ervaren spelers en te groeien. Spelers van alle levels welkom. I’ll keep this short and sweet. PORGS ATE MY HOMEWORK is looking for active yet casual players of ALL levels. All that we require is participation in TW and TB. We are composed of mostly alt accounts and newer players. Currently at 30 members, with a very active core group of 20. We hope to hear from you! Feel free to add or message me in-game with any questions, or feel free to look us up and join! Some have Discord but we use in game chat. We have 4-5 position open as of today and its open invite so come join us. Level 20+ min, we run Heroic Rancor regularly. NEW GUILD. Just created. TIred of being a medium fish in the ocean of SWGOH? 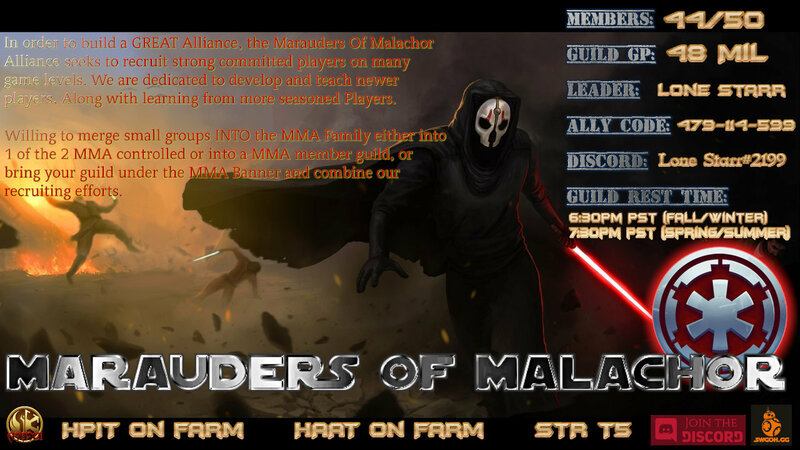 Come here and be the big fish for a change and a chance to be a major player of a casual group. I run things simply, I have two careers and use this to de-stress and relax. Looking for players that have lives outside of this game but still like to play casually with a guild. Just add me as an ally 657-357-593 and shoot me a message. Happy to welcome everyone that wants to play on our guild. US Mountain Time here. We're an older guild of a few elite players and mostly casual players who had our numbers thinned by people leaving for Sith Raid completion. Currently we are at 33 million GP and only have about 13 active members. We have no level requirements, just that you play regularly, contribute to Territory Battles, aren't an offensive person. We clear Heroic Rancor with ease, but haven't quite been able to finish a Heroic Tank Raid. We are very close to it though. Our Dith Raids take us about a week, tier 5. We average about 14 Stars on a Territory Battle. We have too few members to even do a Territory War. Anyone interested to join is welcome to find us through the guild finder or just send me a message. We have a Discord, though I'm the only one who uses it most of the time. If it becomes the primary method to talk, all of current members are happy to move to it. ◦	Raids: Heroic Rancor (done in few minutes, twice a week); Heroic AAT (done in few hours, 1 or 2 times a week), Sith Tier 5 (done in 4 days). We are a very united and active team but not that extremely like others. Most of us are from Venezuela but we have also USA and Europe members, we are open for more new members from other countries also. The Menirens are looking for casual yet fairly active players of all levels to join us. We're U.S based but anyone is welcome to join. We currently do t3 to t5 pit 2 or 3 times a week. We don't have any requirements other than have fun. Send me a pm here or look us up we're open to join. Please no merger requests..
We have a mix of players from those preparing for HSTR to players preparing for JTR. We are an academy guild of 'Guild Slovakia (116M GP)' and we have currently many open slots. Sme cerstvo otvorena akademia (10.5M GP) a tymto hladame novych hracov, ktori by u nas vyrastli a tym nas spolocne vsechnych posunuli dalej. Vdaka tomu aktualne nemame ziadne limity alebo obmedzenia na level ci GP. Pri dostatocnej sile bude mozny prestup do nasej hlavnej guildy, takze aj dalsi postup v hre je pre vas zabezpeceny. Raidy sa snazime spustat vzdy ked na to mame a aktualne robime HPIT, STR, AAT. V pripade zajmu mi napiste tu alebo na Discordu (Stileth#6002) alebo sa rovno prihlaste do guildy (volny vstup). 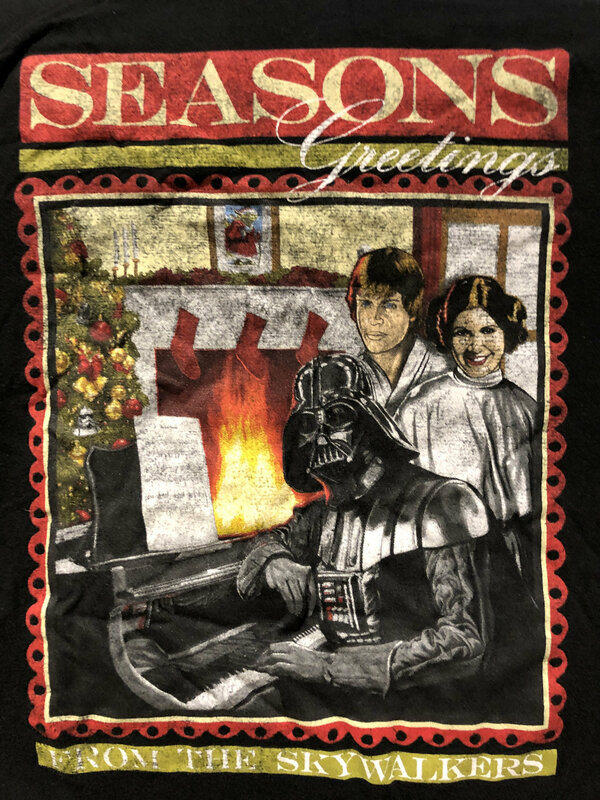 Hey fellow gamers and Star Wars fans! My name is Timothy and I'm the leader of True Light. We are a 66 million GP guild looking for new recruits. True Light has been around since guilds were implemented into the game with some members being with us since then. Most of us are above level 75, but we are open to all levels looking to grow and develop in the game. We regularly do the Heroic Rancor and tank raids. Overall, we have been a very casual guild and will continue to do so. If all you want to do is just play the game and be unimpeded by multiple rules, True Light is the guild for you. Hope to see you soon! Please note that my guild may not come up right away in the search. According to support, it'll take 3-6 refreshes. To make it easier, you can message me using the in-game chat and my ally code and we can coordinate you to get in. Great starter guild for new players. No pressure just have fun. Simple casual guild open for all. No requirements. We are designed for those with busy lives and families. Guild reset is 6:30pm EST. All raids have 24h join so as many as possible can get in for rewards. Look us up on guild search or contact me in game. Friendly guild based on helping each other along. No farming requirements, so if you have an affinity for Ewoks or Jawas you are free to assemble your team of little weirdos without (much) judgement. Our guild "Top100" has 2 free slots to offer, so we are looking players who wants to join us. We are casual guild and are here for the fun, so there are no rules for daily activity. 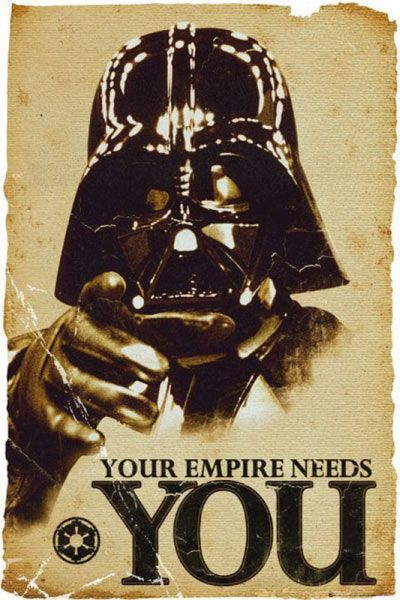 We need you to strengthen our Troops for Territory War/Battles and the Sith Raid. We are 48 Members with a GP of 70M. We offer A friendly respectful community where we support each other with advise, gear and activity. If you want to become a member of our community: Just Join.